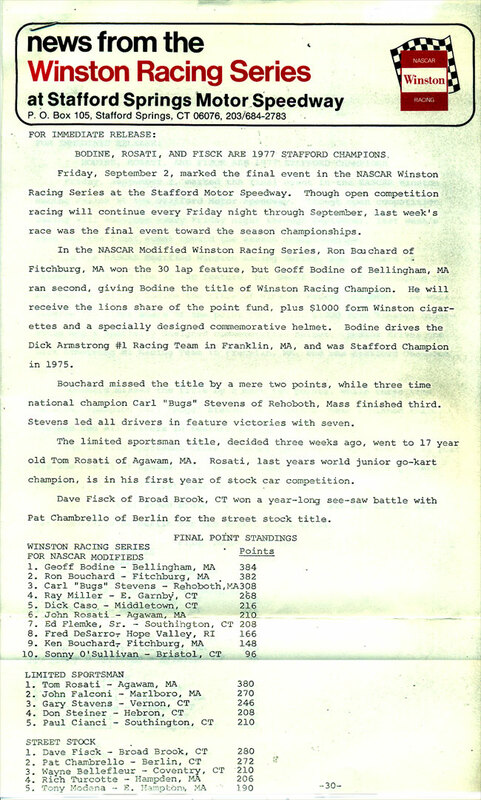 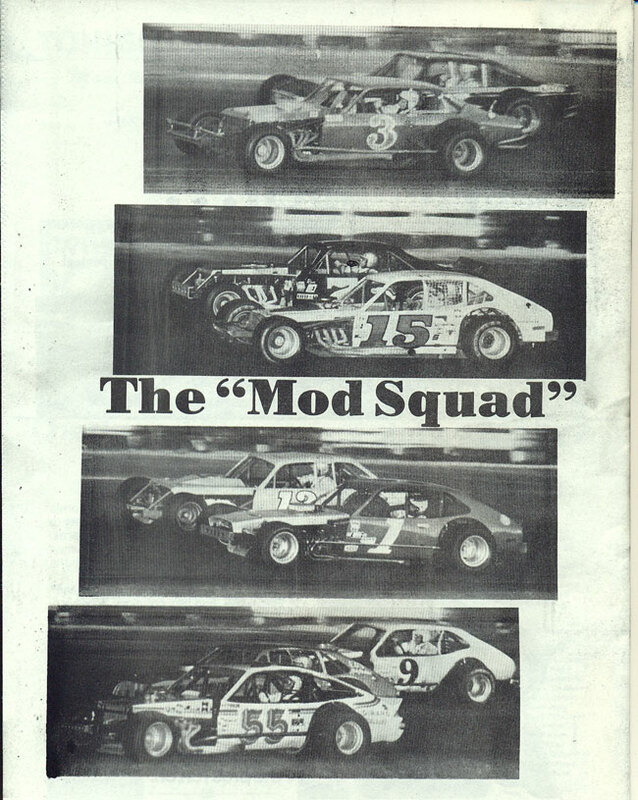 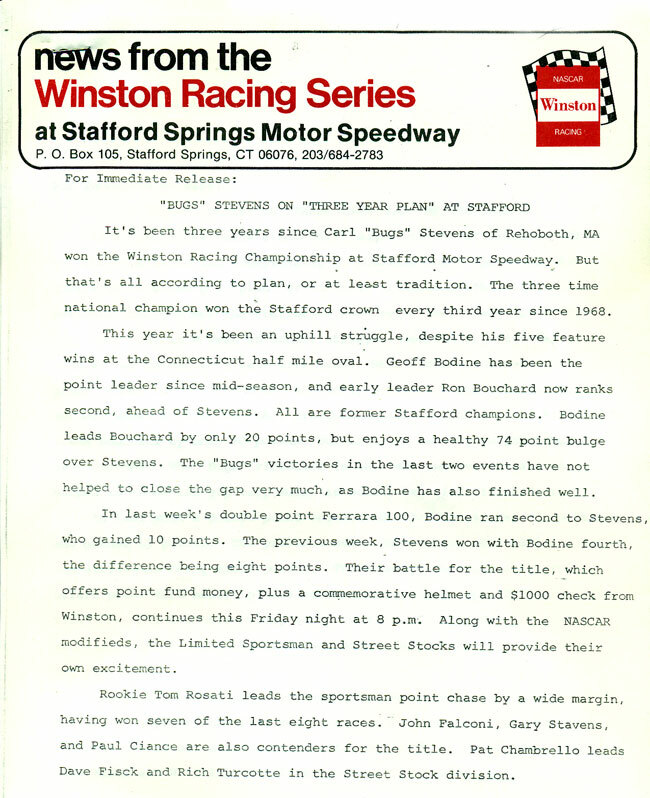 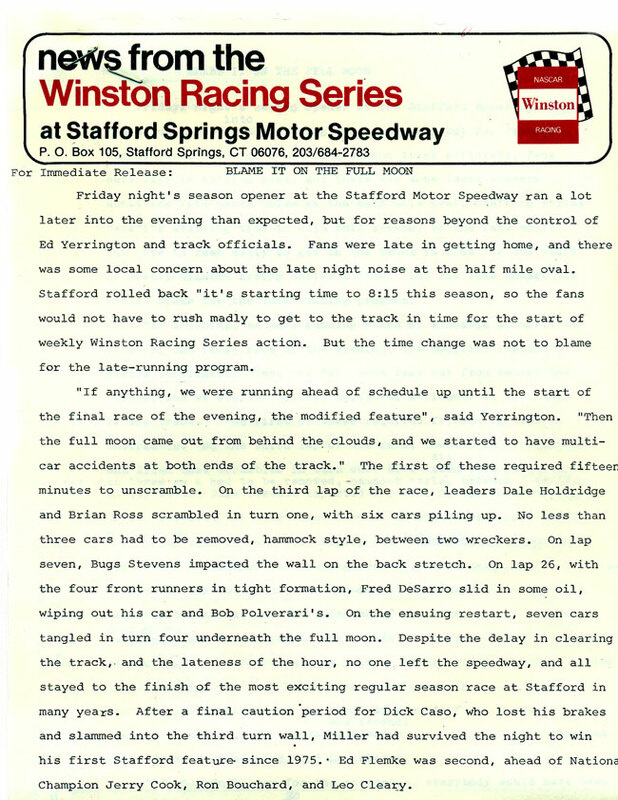 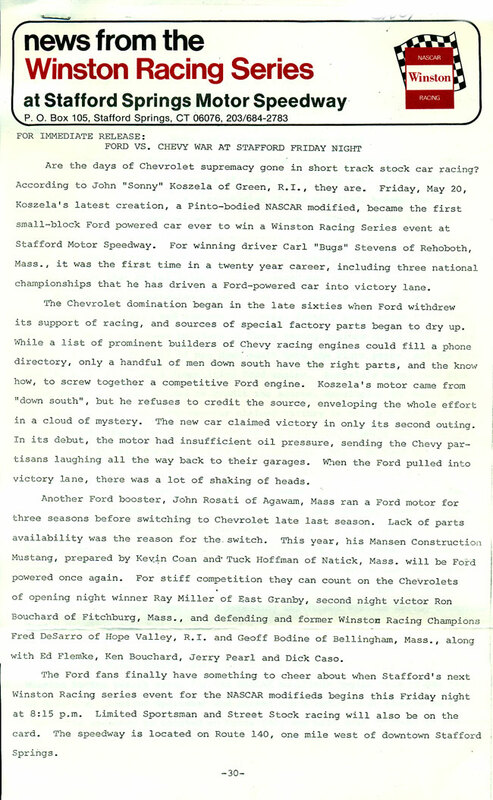 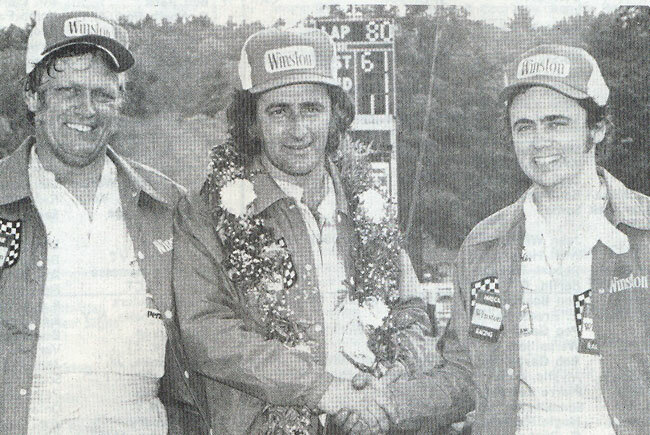 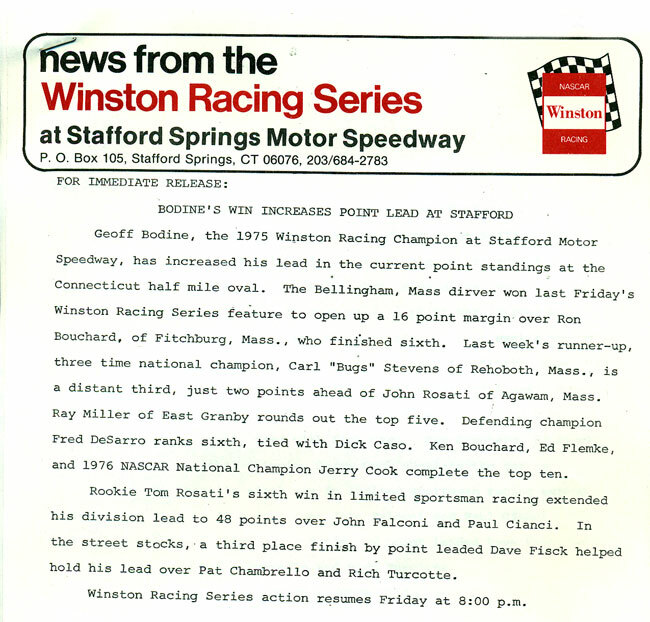 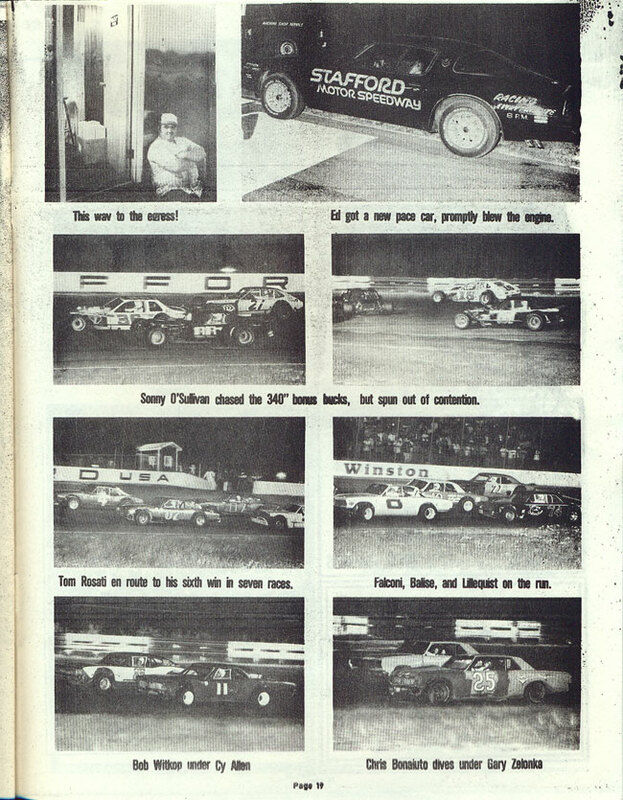 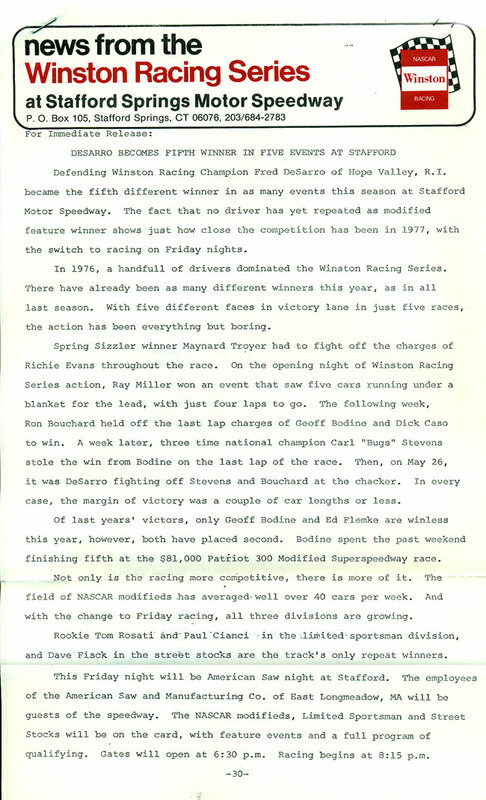 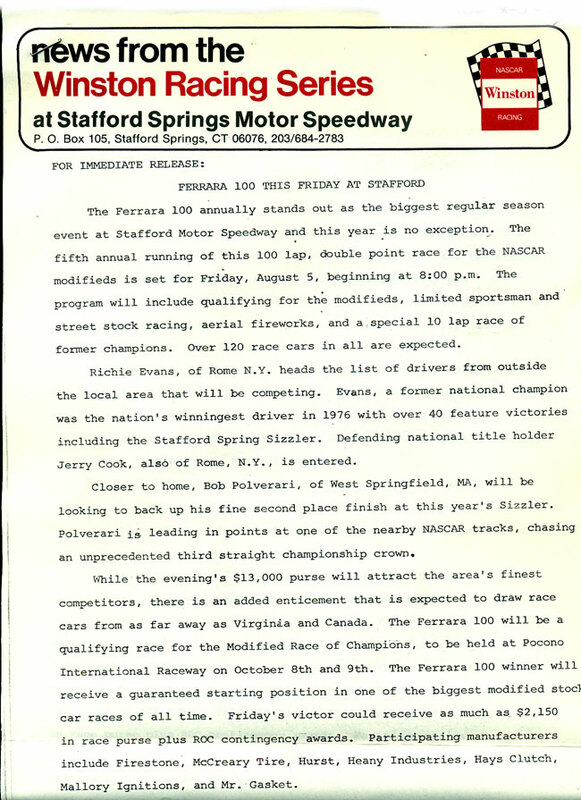 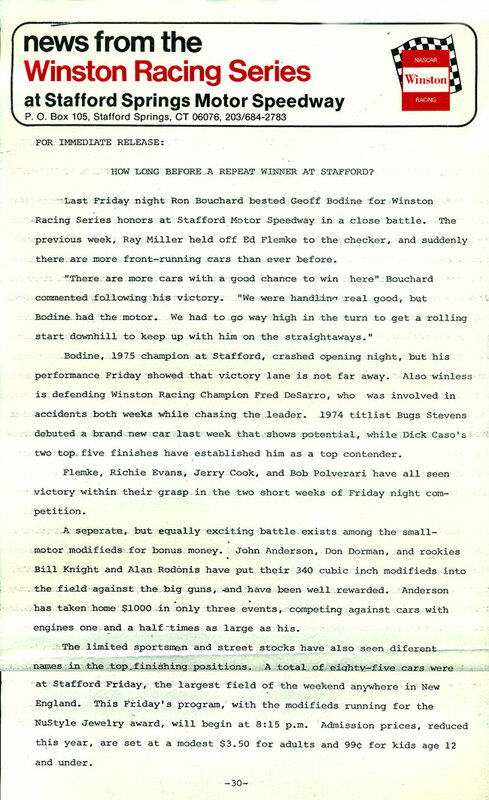 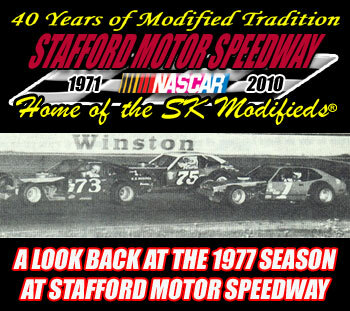 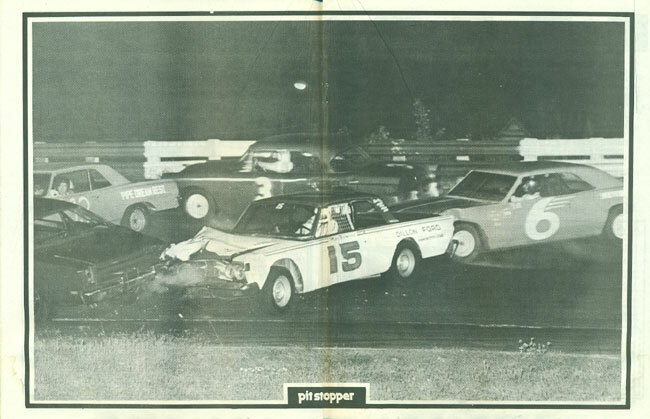 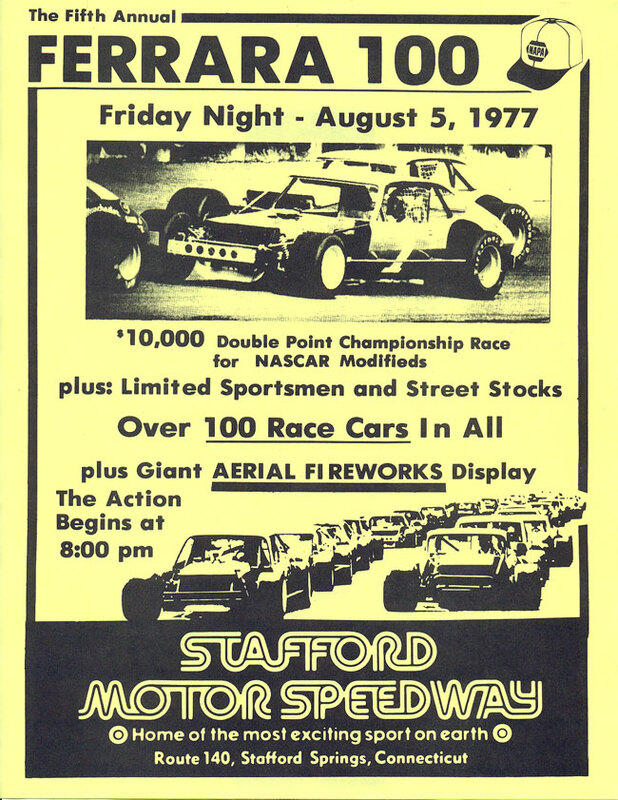 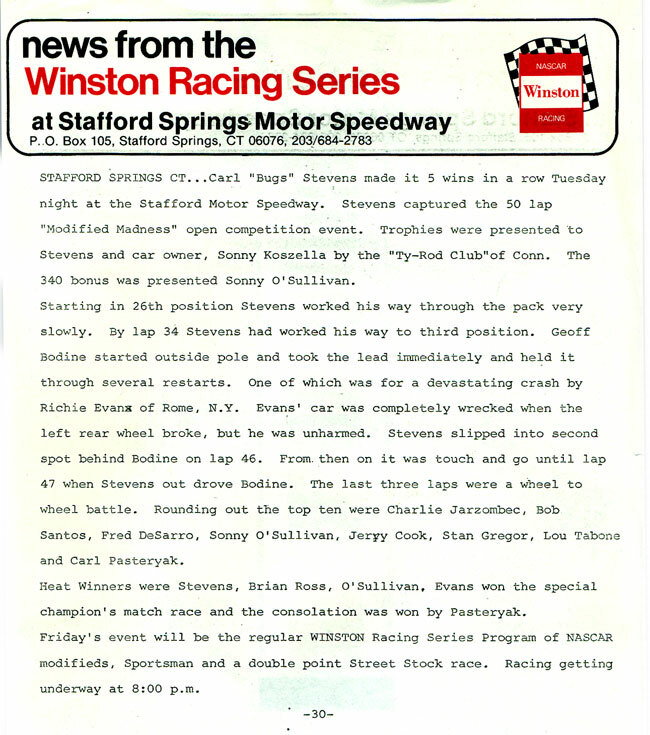 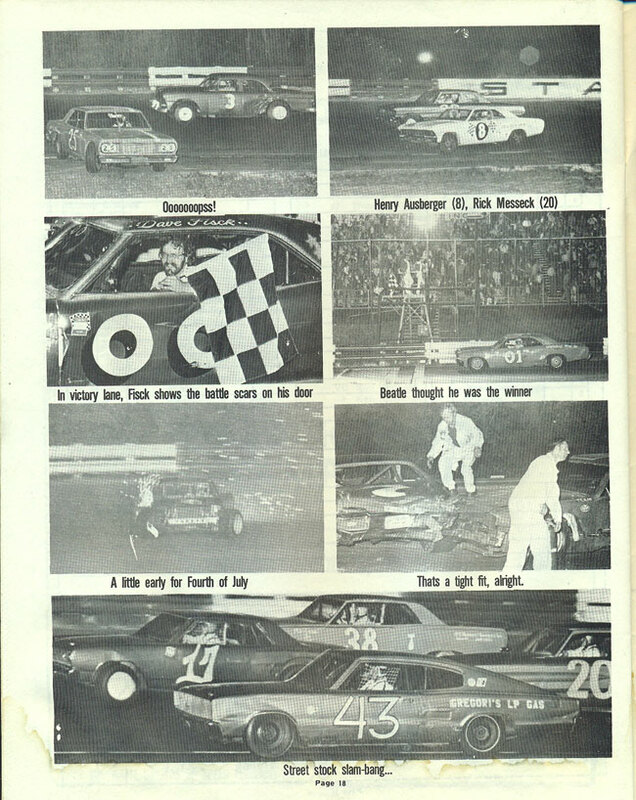 The 1977 season at Stafford Motor Speedway saw a reversal of fortunes for Geoff Bodine. 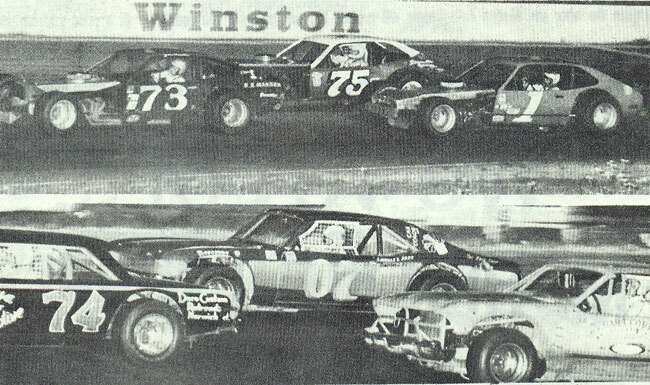 Bodine dominated the 1976 season with 9 feature victories, but he lost out in the race for the track championship to Fred DeSarro. 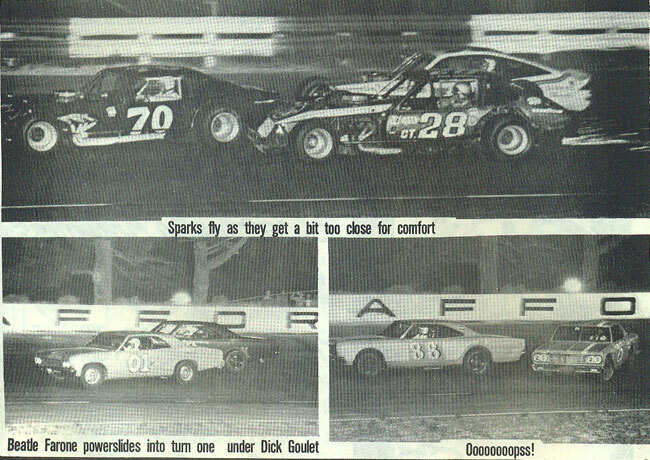 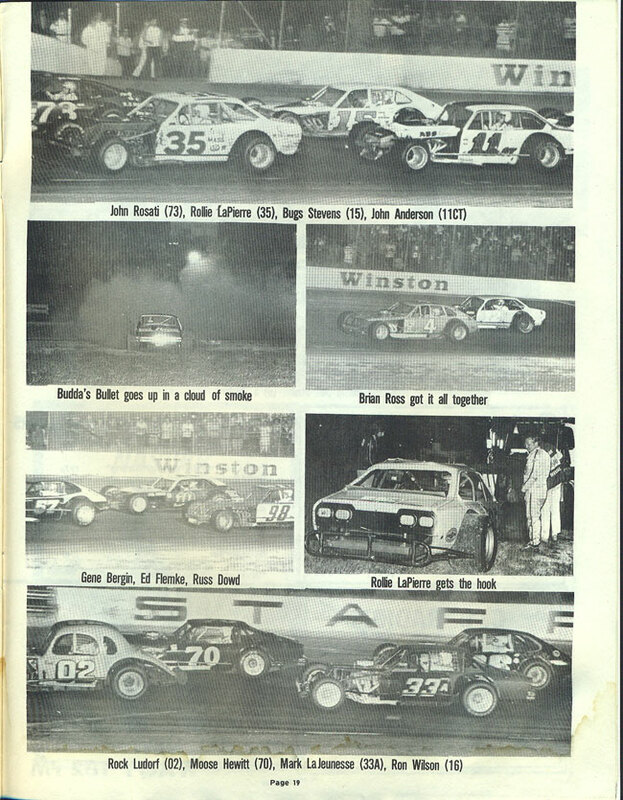 In 1977, it was Bugsy Stevens who was the big winner of the modified season with 7 feature wins, including 4 in a row, but it was Bodine who claimed the track championship by a scant 2-point margin over Ron Bouchard. 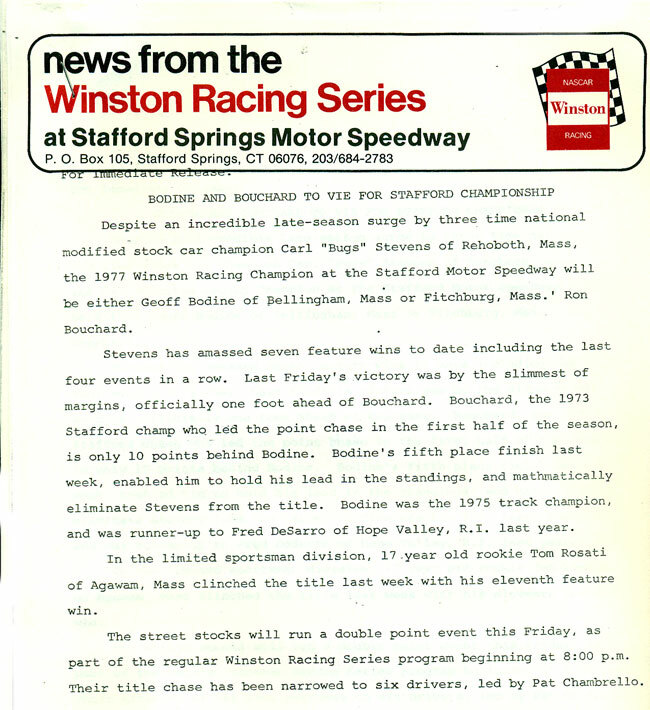 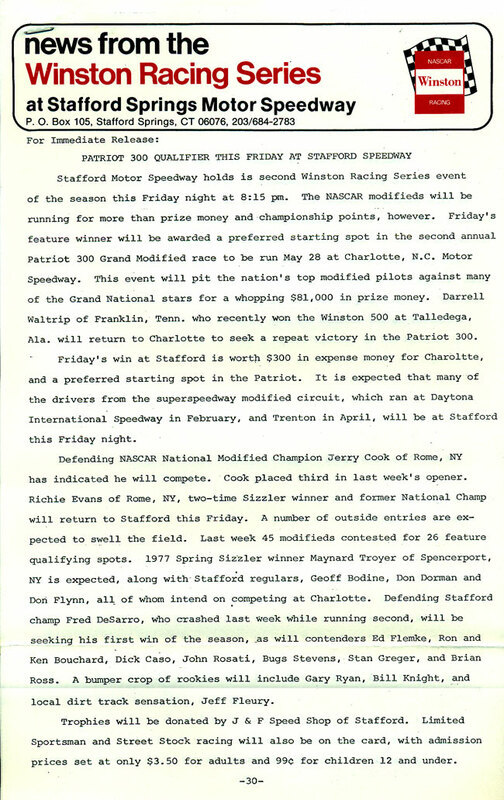 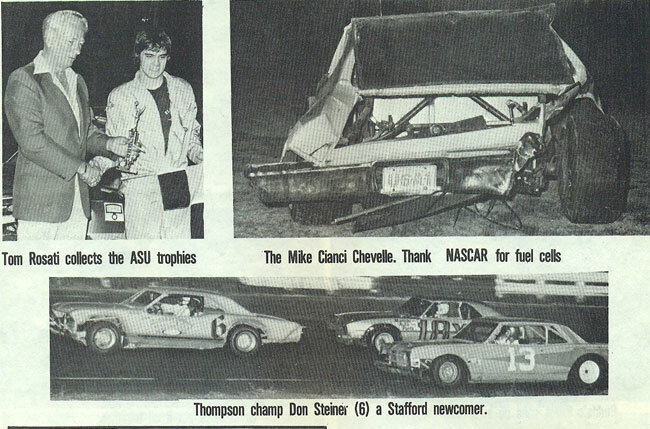 The track championship was the second of what would be three career track championships at Stafford for Bodine. 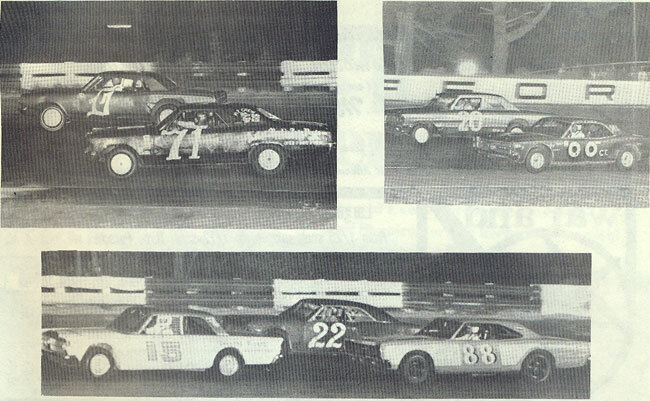 The championship fight was a close battle all season long between Bouchard and Bodine and went down to the final event of the year. 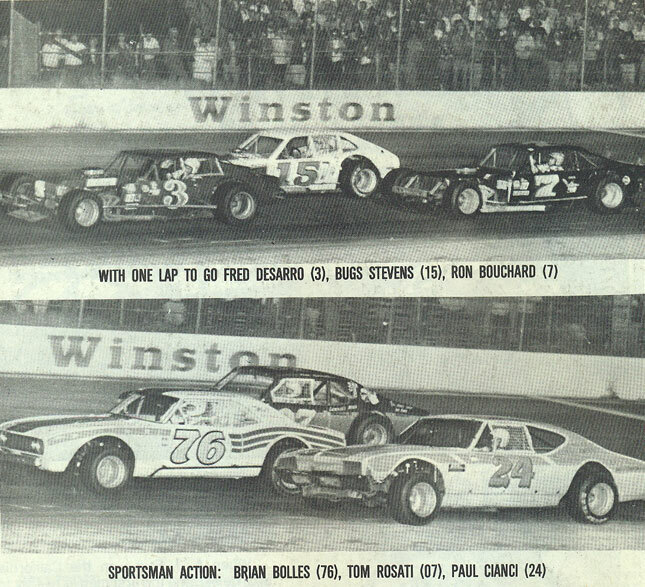 Bouchard won the final event of the 1977 season, but Bodine finished right on his bumper in second place to secure the track title.